DENIED. And we've seen this guy before. He's Bob. Sheriff Bob. The law gets to have weapons in Driftwoood, as drawn but not explained in the beginning of this arc. 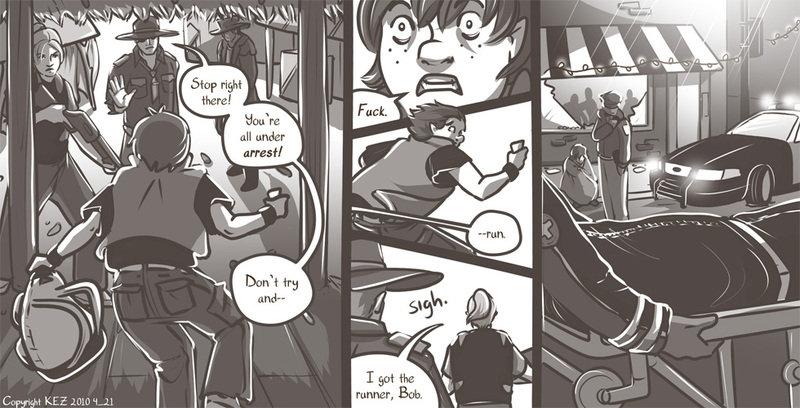 One last page in this story arc, and it will be up next Wednesday! 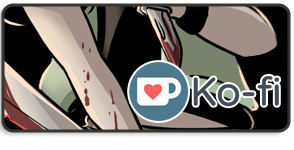 Thanks to awesome supporters, What it Takes will be updating with THREE extra Monday updates in January. There's still time for 2 more of those extra updates if anyone is interested. And if that meter goes over, that rolls into more updates that month, or into next month. If you're new to the comic/how this works, I collect funds for the extra updates leading up to the available dates. 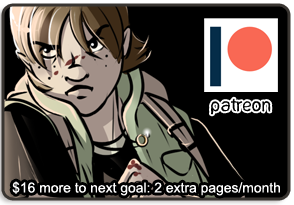 Each extra update is $20, and regardless of the amount raised, the comic WILL update W/F to schedule. Extra updates will be extra, and not a make up for missing a W/F update. If you put $20 or more in the pot and take care of an entire update, I will mail you a complimentary issue 1 with an original drawing in it to thank you for supporting me and this comic. :) If you cannot view the Chip-In widget in the left sidebar beneath the comic, you can donate directly to that meter by clicking here. There's a super easy contest going on in the forum right now! Whoever posts the 5000th post gets a free commission from me! Details here. As of today, the total post count is 4735. OctoSue: Fourth panel and beyond is happening in the past, the rest is in the present, correct! MSB: I love that song. Azho: Glass door on the right gives you your hint to the scene. Also the text directly above that panel.